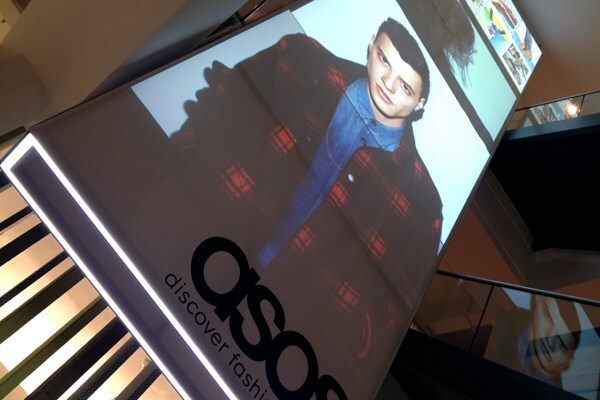 TensileFabric installed this huge projection screen that sits above the reception of the impressive new HQ of ASOS in Camden, London. 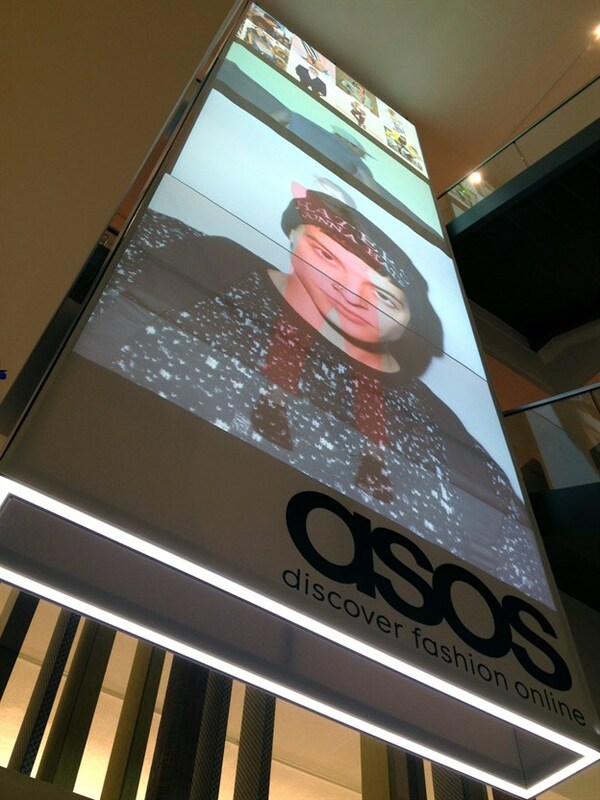 The 10m tall x 2.7m wide screen is constructed from a bespoke aluminium frame and is covered in fabric to all 4 sides - with additional fabric lining the inner bottom faces (to avoid some site lines being exposed). The rear face, which faces into the building floors, has a dye sublimated print to it - this pattern reflecting details of elements within the area of the building. A specifically designed channel was also incorporated into the bottom of the frame to accommodate the LED lighting and acrylic light diffuser - that forms the main light over the reception desk on the ground floor. 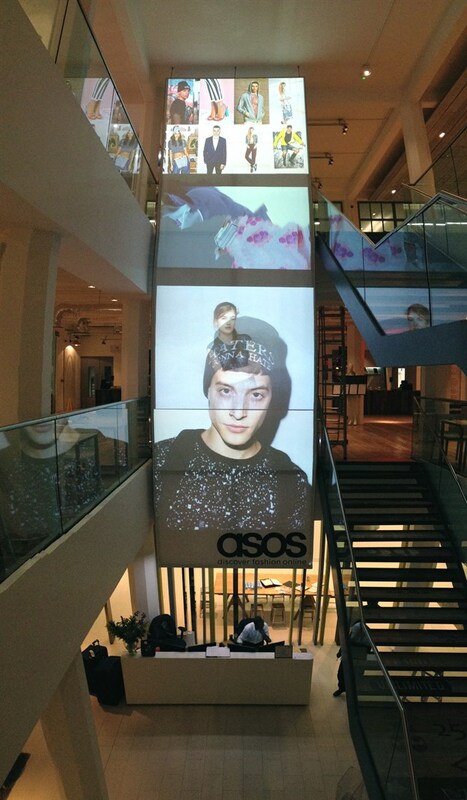 The images projected onto the screen come from 3 front projectors positioned opposite bulk head. 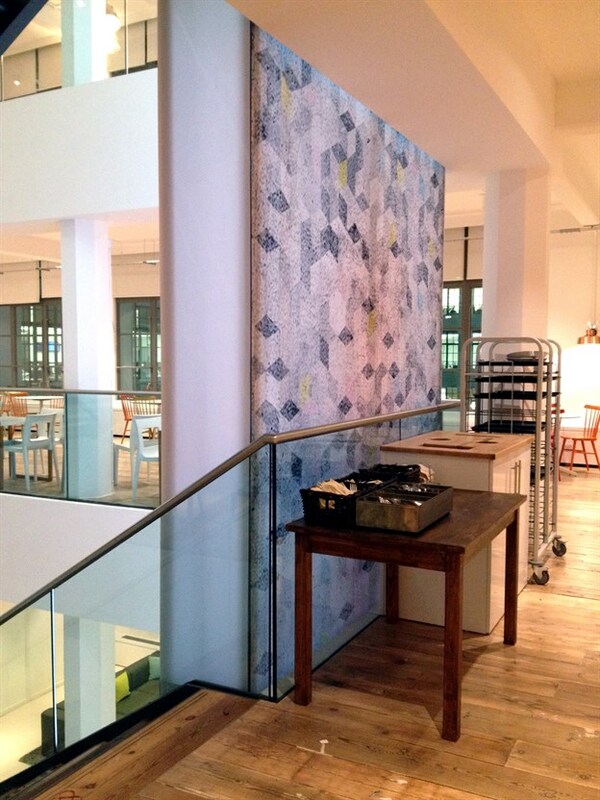 These work in turn and together, to project full height and smaller images - that are continually changing. This screen should require no maintenance in the future beyond vacuuming of any horizontal surfaces.